FromSoftware’s latest RPG is coming to PC, PS4, and Xbox One in the form of Sekiro: Shadows Die Twice. With this being a AAA title, players can expect there to be a number of different editions, preorder bonuses, and more to navigate in the consumer environment. 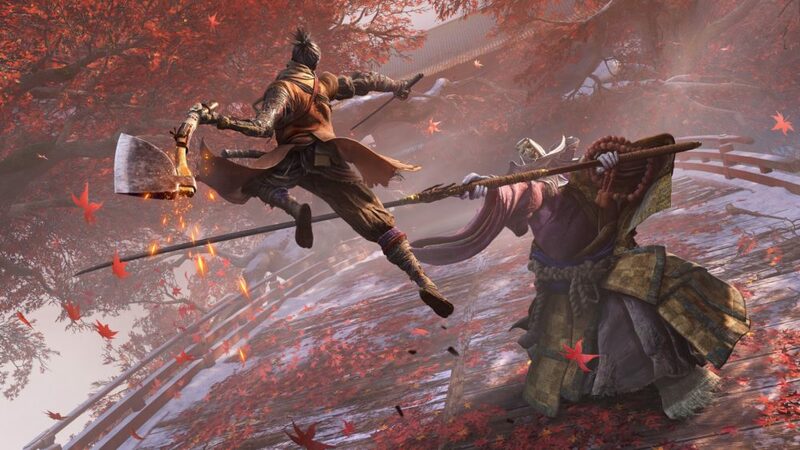 To help you out, we’ve put together this Sekiro preorder guide. Let’s start off by going through how much Sekiro costs to buy. After all, if the price catches you off-guard, preorder bonuses and so forth don’t really make much of a difference. When it comes to where you can preorder or purchase Sekiro from, you’re not short of options. Depending on your preferred platform, you can choose to pick up the game from its digital marketplace, or pick up a physical copy of the game from your preferred online or physical retailer. We’ve broken down the various places you can pick up both the standard and collector’s edition of Sekiro in North America and the UK. Unfortunately, it looks as though the Collector’s Edition has sold out in both North America and the UK. If you’re looking to nab yourself one of these editions, you may want to hold off until launch day and see if you can nab someone’s unclaimed preorder. Surprisingly, there are actually very few preorder bonuses for Sekiro: Shadows Die Twice. One thing that you’ll get regardless of where you preorder the title from is a Digital Artbook and Digital Soundtrack, the code for which you can redeem over here. One that remains the same across all regions is the PlayStation Store’s preorder bonus, which grants players two dynamic themes for their home screen background. 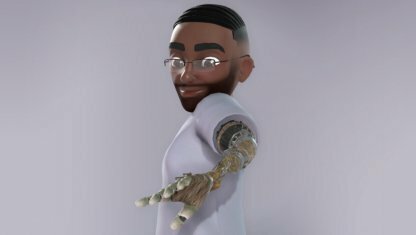 Similarly, the Xbox Store has a similar deal on, with Sekiro Prosthetic Arm and Grappling Hook avatar items granted to players within seven days of purchasing the game. It’s US residents who preorder Sekiro from GameStop, however, that arguably can net themselves the best reward for putting their money down ahead of the game’s release. 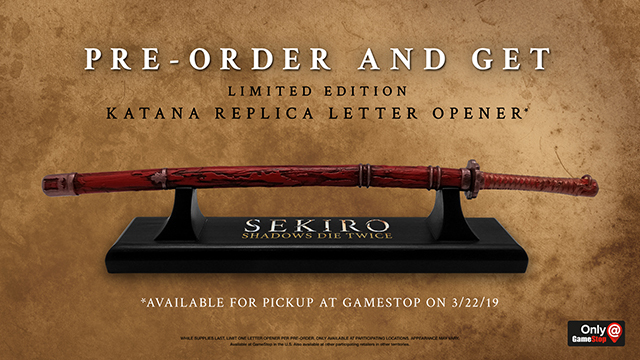 That’s because pre-ordering from GameStop nets you a limited edition Katana Replica Letter Opener. We’re not entirely convinced we’d use said letter opener for its real purpose, but it sure would look right at home in any video game memorabilia collection. If you have, or are planning to, preorder Sekiro digitally on Xbox One or PS4, you’ll be pleased to know that you can actually begin preloading the game now. That means that the whole game will be downloaded and ready for you to start playing the moment Sekiro unlocks within your region. As for PC players, it looks as though preloading hasn’t gone live for the title just yet on Steam. This shouldn’t be too much of an issue for most players, however, with the game’s install size weighing in at under 20 GB across all platforms. There’s no word on any day-one update for Sekiro just yet, but keep in mind this could bump up the download size for the title on all platforms. That’s our Sekiro preorder guide to help answer all of your questions. Do you still have a question we haven’t answered? Let us know down in the comments below and we’ll do our best to get you an answer. For more tips, tricks, and guides, be sure to check out our ever-expanding Sekiro guide wiki.